Walnuts 500 gms. (Gross Weight) Send these premium quality walnuts (Without shell) with high nutritious value to your friends and relatives. 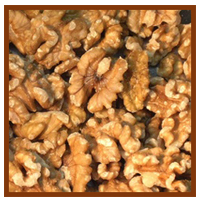 Walnuts 250 gms (Gross Weight) Send these premium quality walnuts (Without shell) with high nutritious value to your friends and relatives. Walnuts 1 Kg. (Gross Weight) Send these premium quality walnuts (Without shell) with high nutritious value to your friends and relatives.